Research jobs are a quintessential component of progress in society as a whole. There are so many benefits from choosing to engage in a variety of research and development activities where solutions are sought after and eventually discovered. These research activities will often prove to be very much worthwhile when it comes to the discoveries yielded from said activities. 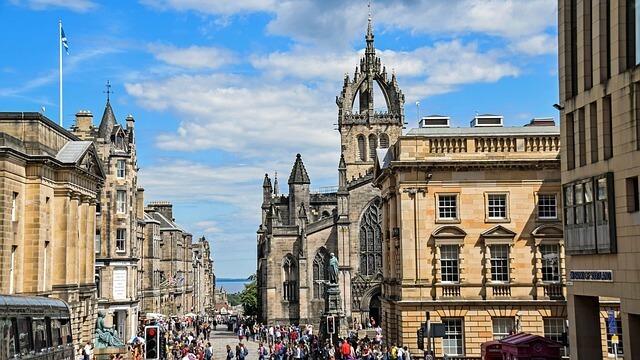 Read on to discover how Edinburgh, Scotland is redefining itself through attracting top-notch researchers, continuing to grow, and why Swanson Reed is the right choice if you’re seeking an excellent tax advisory firm to assist you and your organization with R&D tax credits. The major benefit of attracting such excellent talent with research activities is the fact this same talent will most likely produce some amazing solutions to the local community’s problems and the world’s problems for that matter. With research and development, there are a wide range of trickle-down effects felt throughout the area. Edinburgh for instance has received the benefits of being the host city for one of the top universities in the world; the University of Edinburgh. This institution alone has produced an abundance of solutions for a plethora of issues across the world and the university itself has chosen to participate in generous amounts of research and development activities. Alongside the university activities, there are a large number of organizations and businesses who will also benefit from research and development tax credits as well if they qualify for said tax credits. This process will in turn help Edinburgh continue to grow exponentially over time. As the city continues to progress, Edinburgh will most likely become an even larger hub for research jobs and continue to attract highly-skilled researchers for a variety of industries. Selecting Swanson Reed for your research and development tax credit advising is an excellent choice as we strive to provide you and your organization with the largest tax credit possible. We locate a number of tax credit opportunities which may have been overlooked and successfully implement strategies to best position your organization amongst the competition as well. Feel free to contact us to learn more and we’ll be sure to respond to your inquiry as soon as possible. We look forward to hearing from you soon!